A boy followed by crows must unlock the language of the universe. 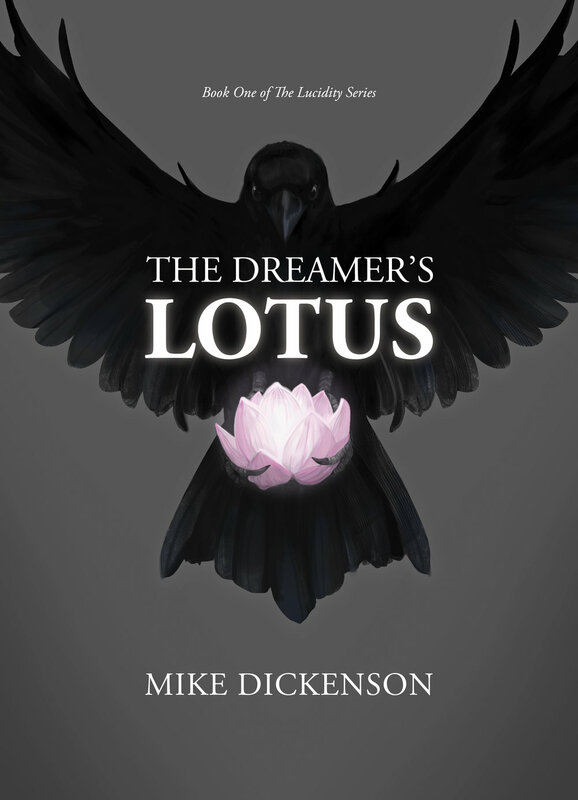 A YOUNG OUTCAST FOLLOWED BY CROWS FINDS A FLOWER IN THE FOREST ONE NIGHT - IT IS THE DREAMER'S LOTUS, A POWERFUL HALLUCINOGEN THAT OPENS THE MIND TO THE MEANINGS OF THE SYMBOLS. THIS CAN BE HELPFUL, ESPECIALLY WHEN YOU LIVE IN A WORLD WHERE EVERYTHING IS SYMBOLIC. THEY SAY THE BOY IS A BAD OMEN, PART OF A PROPHECY THAT WILL DESTROY THE VILLAGE. IF HE FINDS WHAT HE IS SEEKING THEY WILL KILL HIM, BUT CORVUS HAS TO KNOW THE TRUTH. WHY IS HE THE ONLY ONE WHO CAN HEAR THE VOICES IN THE FOREST AND WHY IS HE FOLLOWED BY THE MOST FEARED SIGN OF ALL? Dreams, madness, and reality mingle in a story that questions man's role in the natural world. The lucidity series is a trilogy about awakening, designed for people on a path of inner creation who are willing to question the world around them. As an indie Author, you can help support by purchasing a signed copy. Custom signed copies directly from the author are available for a limited time. A perfect gift for anyone who cherishes good literature! This is for our soft-cover edition of the book. "IN THE FOREST YOU WILL FIND, A LITTLE KEY TO FREE YOUR MIND." Sarah put her hand out to quiet him but he pushed her arm away. “Why do we not talk about the crows?” he asked her in frustration.